Schemenauer Farms is a place for old-fashioned fun, honest business, and U-Pick-Blueberry joy! They sell blueberry bushes, frozen blueberries and consult professionals and home-growers as well, but the best part is picking with friends and family on a "pay by honor system" farm in West Michigan. We use the least offensive products in the least quantity possible to ensure that you are receiving the highest quality that the earth has to offer. Some of our bushes aren’t sprayed at all – while others use minimal organically approved sprays. Old-Fashioned Values, Delicious Blueberries, and more! Luka and Becky Schemenauer are known for their kindness, contribution to the community, and family values. 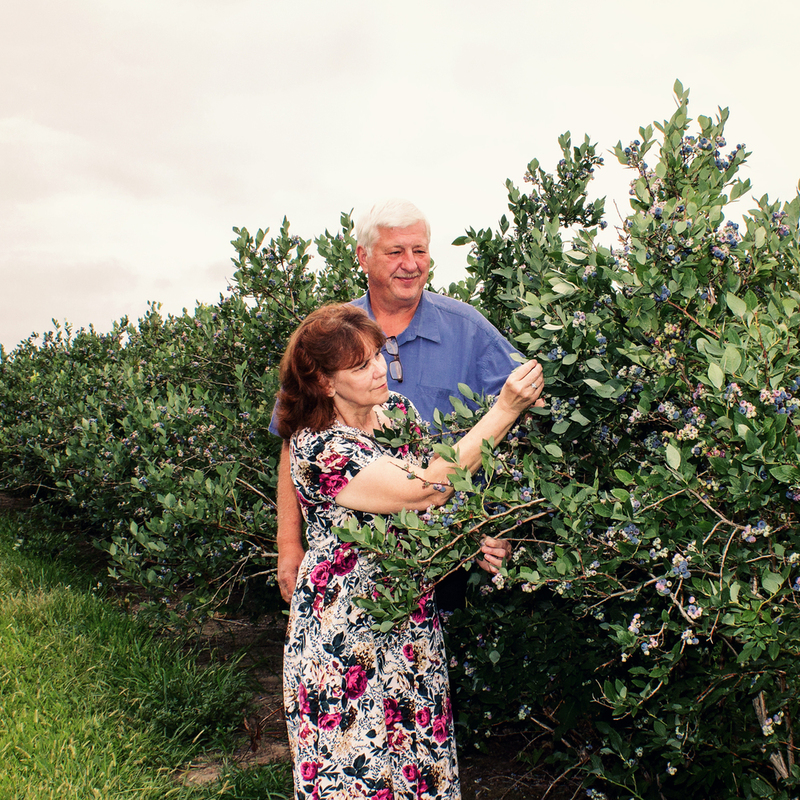 This has created a high-quality blueberry farm that has provided blueberries, blueberry bushes, and other fruits to commercial buyers and growers. Their true love, however, is to see families with blueberry stained lips and teeth – the effects of the delicious picking that individuals and groups can do on many days in summer – especially July and August! A farm in Bangor Michigan, just 20 minutes from Lake Michigan, is big enough to provide thousands of pounds of fruit, but small enough to feel like a family farm. And, check this out: It is all paid for by-the-pound (way below retail prices!) and on the honor system – friends stop by, pick as much as they want, and pay Luka whether he is there or not. They believe that the risk that someone would take advantage of their honesty policy is far out-weighed by the kind of people that are attracted to such an environment. So, for blueberries to pop in a pancake, pie or straight into your mouth, come to Schemenauer Farms this summer!